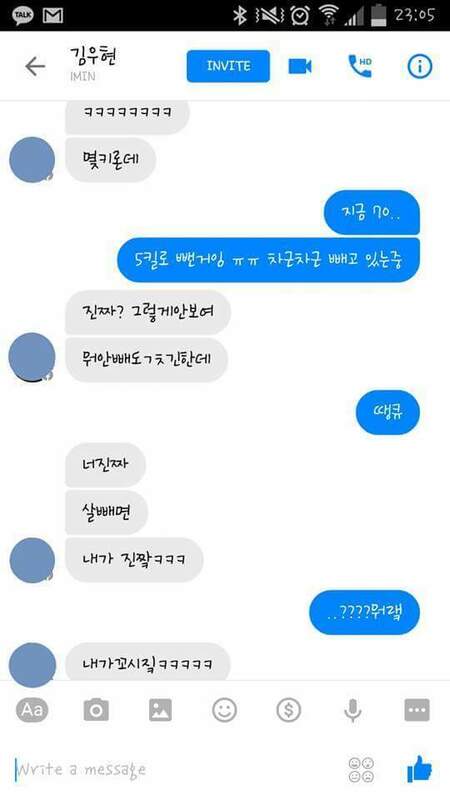 Guy: ㅋㅋㅋHow much do you weight now? OP: 70kg now.. I lost 5kgㅠㅠ I'm losing weight slowly.. Guy: Really? You don't look like you're 70kg.. Guy: You look fine even if you don't lose weight..
OP: ...??? What are you talking about? Guy: ㅋㅋㅋIf you lose weight. 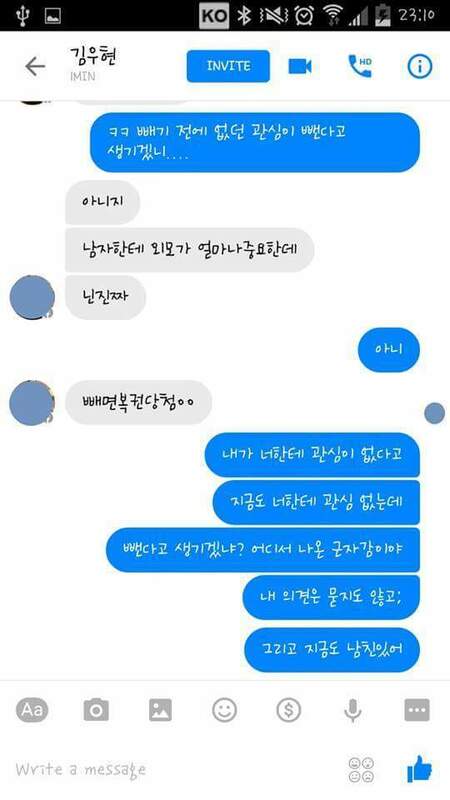 OP: How could I become interested in you after losing weight when I'm not even interested in you righ now.. 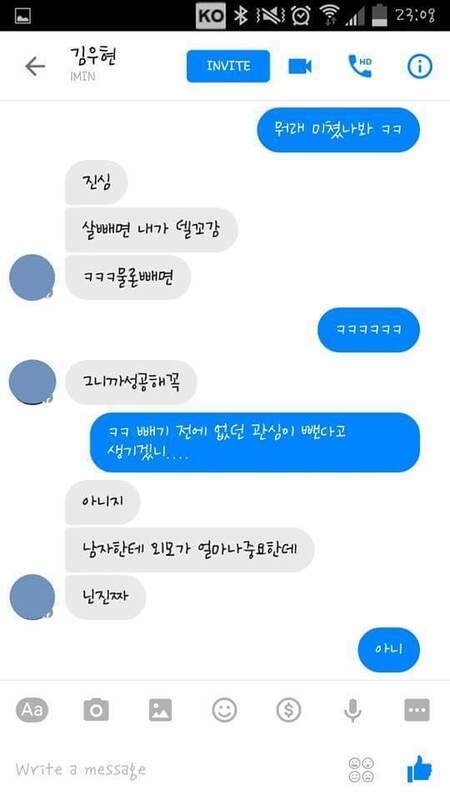 Guy: You don't know how important is visual to men..
OP: I'm saying that I'm not interested in you. OP: Do you think I would become interested in you once I lost weight? OP: Where does that confidence come from? OP: I didn't ask for your opinion. OP: And for your information, I have a boyfriend now. -I really hate guys like that..
-Why would he say something like that..
-The OP is so cool!! -Where does that confidence come from.. Does he really think that she would lose weight for him..
-I hate that guy.. Even his name annoys me..
-Annoying.. Who said she's going to date you? -Kim Woohyun.. Your confidence is a little bit too much..
-If I was her I would tell him to take care of himself instead of minding someone else's bussiness..
-Does he realy think that she would date him just because he said that? Gugudan's stage in Show Champion is shocking..